Question: What is the difference between distilled water and purified? When I read about the various types of water, distilled and purified are often listed as their own types yet, other than the process, it seems they are the same....chemical free and mineral free. Can you help explain what the difference is between the two? Why would someone choose to drink "Purified" over "Distilled"? Nancy’s Answer: Chris, thank you for visiting my site, and I apologize for this delayed response. I understand your confusion about the terms used to identify various types of water. In fact, I used to use “purified water” and “filtered water” interchangeably. However, in the water industry, there is a difference between purified water and filtered water. I don't pretend to be a water technology expert (my primary interest is health), but what I have learned is the following. Water systems that use purification methods such as distillation, reverse osmosis (R.O. ), ozone, de-ionization, and ultraviolet produce purified water. Water that is purified by distillation and reverse osmosis is de-mineralized and acidic in pH. Water systems that use filtration methods such as carbon, particulate, adsorption, activated carbon, and kinetic degradation fluxion (KDF) produce filtered drinking water. Most filtered water leaves the natural occurring minerals in the water and often has a neutral or slightly alkaline pH, which is better for long-term health. Thus, to answer your question, distilled water is a type of purified water. The distillation process does remove many contaminants from the water but it also removes the minerals. You can read much more about the distillation process, as well as the pros and cons of drinking distilled water here. Before I started doing extensive research into water filtration, I was under the impression that reverse osmosis and distilled water were the “purest” waters (and thus the best waters) for drinking. However, what I discovered is that certain multi-stage filtration systems actually remove a higher degree of contaminants, both organic and inorganic, than R.O and distilled. And these multi-stage systems filter out numerous contaminants while leaving the minerals in, which is better for health. Thus, for daily, long-term use, I recommended filtered drinking water over purified water such as distilled water. And there are many reasons for this. 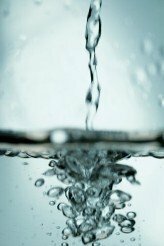 You can read about the four most important benefits of filtered drinking water here. You can check out some multi-stage filtration systems that I recommend at Aquasana and Crystal Quest. I hope this answers your questions.